The Tokyo District Court on Tuesday rejected a lawsuit filed by two Syrian asylum-seekers — echoing the Immigration Bureau’s decision not to grant them refugee status — in the first such court challenge in Japan since civil war broke out in the Middle Eastern nation in 2011. Joude Youssef, one of the plaintiffs, claimed that he had been involved in demonstrations against the Syrian government and faced pressure from the authorities due to his activity, but the court said that whether his personal life was in danger as a result of participating in a peaceful demonstration needs to be carefully examined. Thus, it said his claim was insufficient for refugee status. 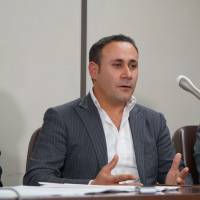 “This ruling shows that no Syrian refugees from any part of the world can ever expect to be accepted as refugees in Japan,” Youssef said at a news conference following the ruling. “The world knows about the situation of Syria … but the Japanese court system hasn’t understood that at all,” he said, adding that he is considering taking the case to a high court. 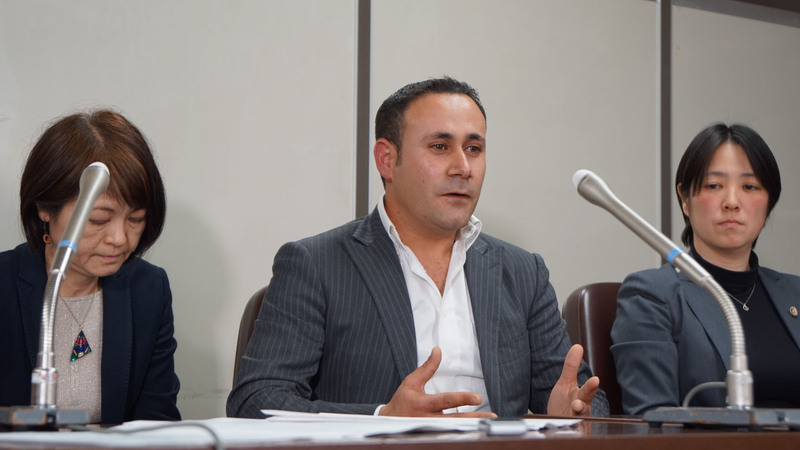 Four Syrian men filed suit against the central government with the Tokyo District Court in March 2015. All four, aged 22 to 35, fled to Japan in 2012 fearing persecution from the Syrian government due to their participations in pro-democracy activities. They applied for refugee status shortly after their arrival. Immigration authorities rejected the claims of all four in 2013 and issued them special resident permits instead, allowing them to legally stay in the country. The permits, which need to be renewed annually, do not qualify them for “refugee passports” that allow travel outside Japan. Also, they are not eligible for any language and job-hunting help that refugee-supporting groups say are necessary for their smooth integration into Japanese society. Two of the plaintiffs already left Japan to resettle in another country along with family members who also fled Syria. Mitsuru Namba and Sakura Yamada, lawyers supporting asylum-seekers, took a swipe at the Justice Ministry’s tendency to only grant refugee for those politically active enough to be personally targeted by their governments. “The court leans toward the ministry’s decision … we think that they do not take the refugee convention into consideration at all,” said Shogo Watanabe, a lawyer who leads the Japan Lawyers Network for Refugees. Youssef, who is related to an ethnic Kurd clan leader, said he played a partial role in organizing anti-Assad demonstrations twice a week in Syria. He also claims that soon afterward, he was targeted by government security forces coming to investigate his house, which caused him to seek asylum. According to the Japan Association for Refugees, which provides language support for Youssef, his first choice was the U.K., where his younger brother fled previously, but his request for a visa was denied there. He then applied for a visa to enter Japan, which was approved. After arrival, he was later joined by his wife and son, who had spent the previous 2½ years in an Iraqi refugee camp. Now, with his plea for refugee status declined, Youssef, who says his passport was taken by smugglers, is in limbo, because he can only live with his family in Japan as he cannot travel outside the country. “All that matters is my children’s future. I fled Syria to protect my kids. To be with my kids, as I have to be in Japan,” Youssef said. According to Justice Ministry records, of the 20 approved refugees out of the 19,629 applicants last year, five were Syrians, while four other Syrian applicants were given special resident permits.